I think it's been a little while since I last shared any nail polish but now my nails have grown back and at a reasonable length it's time I shared with you, Nailberry 50 Shades. Grey is the new black? Maybe, I've started to add more grey to my wardrobe as of late and I like the alternative grey can bring. 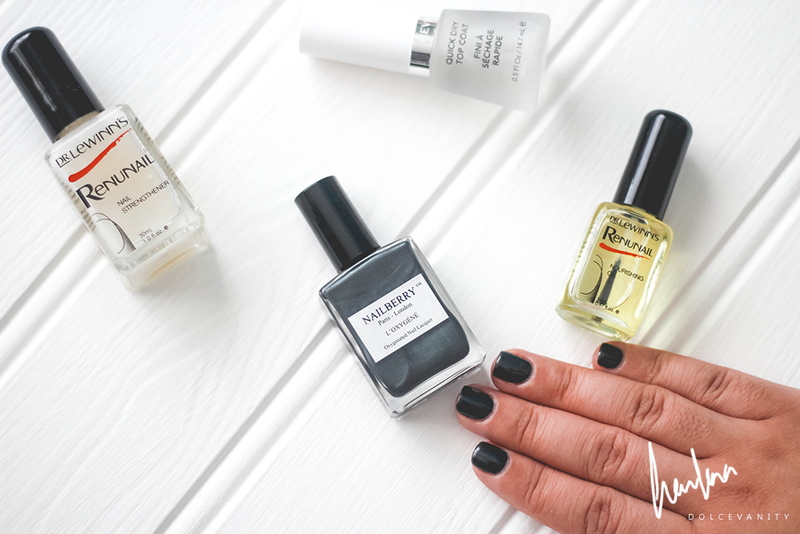 This nail polish from Nailberry is formulated to give your nails the best care while wearing nail polish, free of Formaldehyde, Toluene, DBP and Camphor, also cruelty free. This colour is described as an Oxygenated sheer Grey black, I'd describe that the base is a satin black with grey that is running through the shade with shimmer. When it hits the light you can really see the dimensions of the shades. This is part of the Naughty Berry collection. I've now also spotted a few more I'd love to add to the collection such as Noirberry, Stone, Taupe La & Almond. Typical. What do you think of 50 shades? Have you ever tried anything from Nailberry before? It is a lovely color, it looks really nice. I think this is a lovely color. Not to light just he perfect grey shade.